I work mostly on topology of closed Kähler and symplectic manifolds. 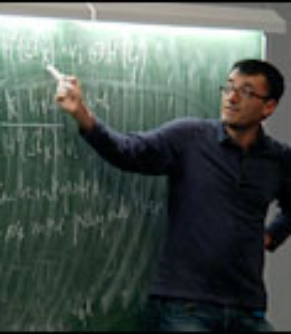 I am a member of the Geometry and Topology research group at UPC and an occasional collaborator of the Seminari de Geometria Algebraica de Barcelona. Together with Jaume Haro, we develop cosmological models based on Teleparallelism, Loop Quantum Cosmology and the Matter Bounce Scenario to address shortcomings in the inflationary Big Bang paradigm, and test the match between new or existing models and cosmological observations. I collaborate with the group on magnetic and superconductor materials at ICMAB, Barcelona, computing critical currents on superconductors, by solving the inverse Biot-Savart problem. de Haro, J. Amorós. Non-singular models of universes in teleparallel theories. Physical Review Letters 110, 071104 (2013). Amorós, J. de Haro, S. Odintsov. Bouncing Loop Quantum Cosmology from F(T) gravity. Physical Review D 87, 104037 (2013). de Haro, J. Amorós. Viability of the matter bounce scenario in Loop Quantum Cosmology for general potentials. Journal of Cosmology and Astroparticle Physics 12 (2014) 031. Amorós, M. Manjarín, M. Nicolau. Deformations of Kähler manifolds with non vanishing holomorphic vector fields. Journal of the European Mathematical Society 14 (2012) 997-1040. Jaume Amorós, Fedor A. Bogomolov, Ludmil Katzarkov, Tony Pantev. Symplectic Lefschetz fibrations with arbitrary fundamental groups, with an appendix by Ivan Smith Journal of Differential Geometry 54 (2000) 489-545.